A visionary and independent thinker, Roger Williams (c. 1603 – 1683) was warned by the Puritan authorities in Massachusetts Bay Colony to refrain from spreading his “new and dangerous opinions.” Williams’s “opinions” did not sit well with many of his neighbors for several reasons. First, he believed that “Natives are the true owners” of the land in the New World. Williams had made a point to learn Native languages and cultivate strong relationships with the Wampanoag sachem Massasoit and the Narragansett sachem Canonicus, and he accused colonists of making unfair deals with the Wampanoags and Narragansetts in order to acquire their lands. Second, Williams took issue with the Puritans’ insistence on forcing community members to worship. He believed that a person’s faith should not be a matter of the state and that he/she should not be persecuted for it. When Williams refused to back down, the authorities in Massachusetts Bay ordered him to leave the colony. Banished and alone in the dead of winter, Williams made his way through Plymouth Colony and, in 1636, he eventually settled on land given to him by the Natives he had befriended. Grateful for his good fortune, he named the place “Providence”, believing that God’s providence had led him to this spot. There, joined by a group of followers from Massachusetts Bay, Williams founded a community where all could think, worship, and act in accordance with their own conscience without fear of persecution by the government. This spiritual and intellectual haven to some was considered a hotbed of heresy to others. Congress authorized the creation of the National Memorial on the site in 1965, and the 4.5-acre park opened to the public in the 1980s. 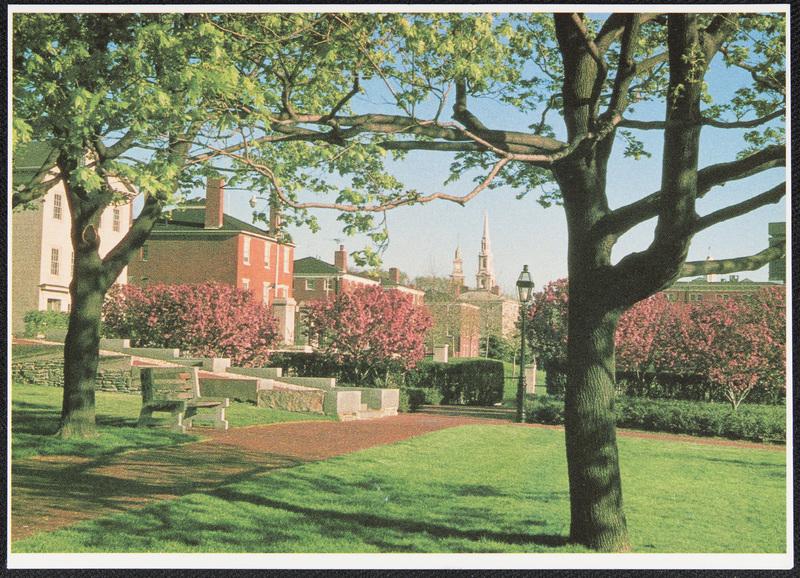 Memorial and Meeting House: This 1995 postcard shows the southern end of the Roger Williams National Memorial. In the distance, you can see the white spire of the 1775 Meeting House of the First Baptist Church of America. Williams gathered this congregation in 1638. 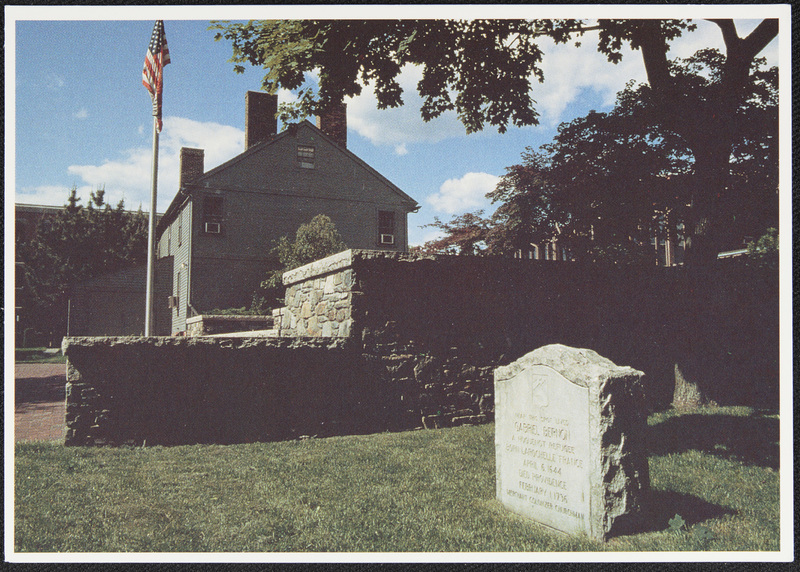 Bernon Grove: This 1995 postcard depicts Bernon Grove, a memorial to Gabriel Bernon, a French Huguenot refugee who settled in Rhode Island. The Antram-Gray House, which sits in the background, was built in the 1700s and serves as the Memorial's visitor center. The Memorial is situated on the parcel of land containing the freshwater spring that first drew Williams’ interest in settling this particular area. 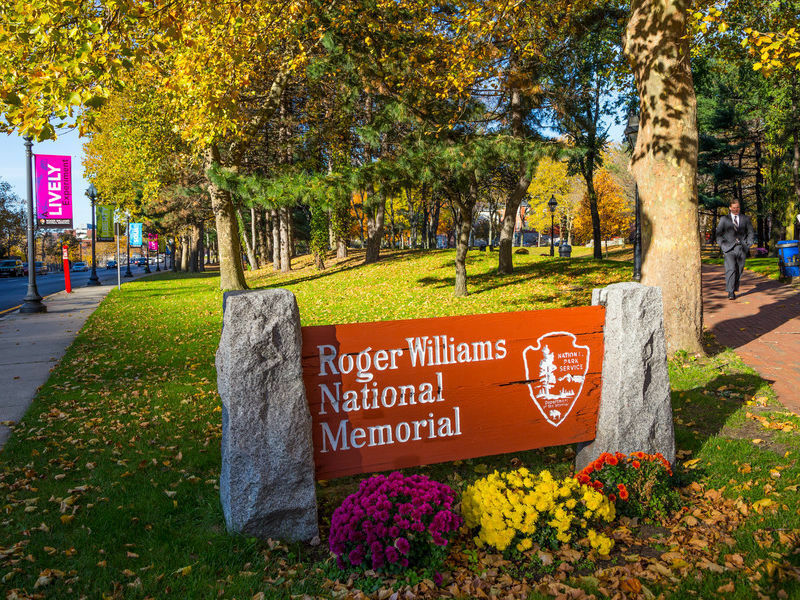 Learn more about Roger Williams here: https://www.nps.gov/rowi/index.htm. 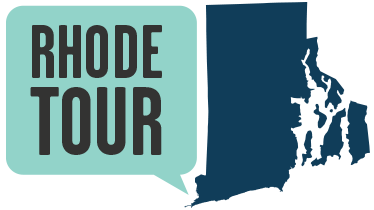 Elyssa Tardif, “Roger Williams National Memorial,” Rhode Tour, accessed April 21, 2019, http://rhodetour.org/items/show/180.